These Red and Green Italians are far apart, but both available. One in the land of L.A., the other in the land of the UK. , sexual innuendo, name dropping, and color confusion. 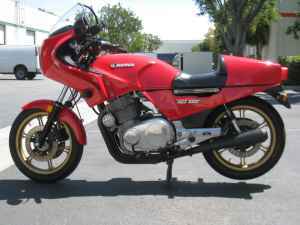 When looking for information about the Slater Brothers and Steve Finch, I was able to find a discussion on the Laverda forum. 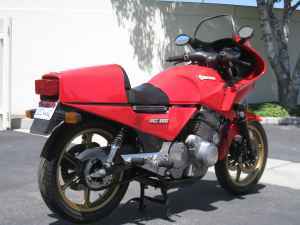 It appears that Finch is a well known painter, and the Slater Brothers ARE Laverda in the UK. Those on the forum asked why the seller would drop the name of a painter, giving a limited number run, then state that the bike could be “repainted” to the Steve Finch colors. You have to wonder what value there might be in original paint under the current paint? 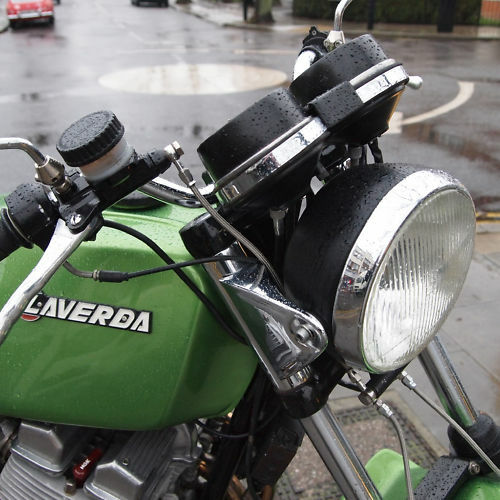 The Laverda itself is a 1115cc in line three cylinder, with some nice numbers. 86hp, 7350rpm with a top speed 126.8. Not bad, even if your not sure what kind of green paint covers it. 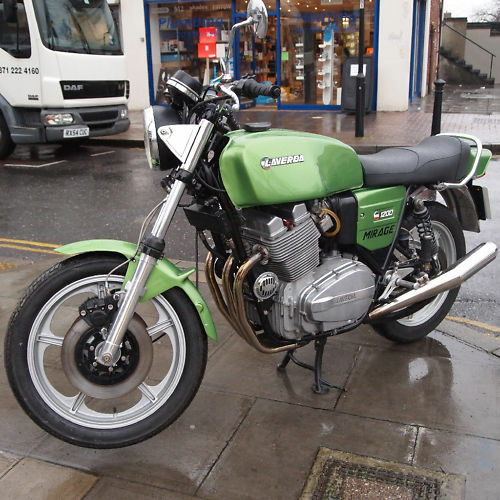 We have shown other Laverda here on CSBFS, and some of the newer incarnations over at RSBFS, but this is the first green one, and therefore special. 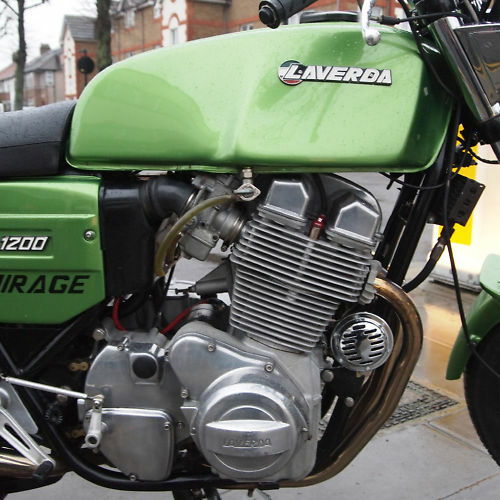 How far would you travel to get a Laverda? If you are not ready to hop a plane, or try to fill out the forms necessary to import something Italian, you can also just cruise Craigslist. The later model RGS loses some cc (only 981) but gains a few rpm (up to 7900), add a couple mph (to 130) over the older Mirage. 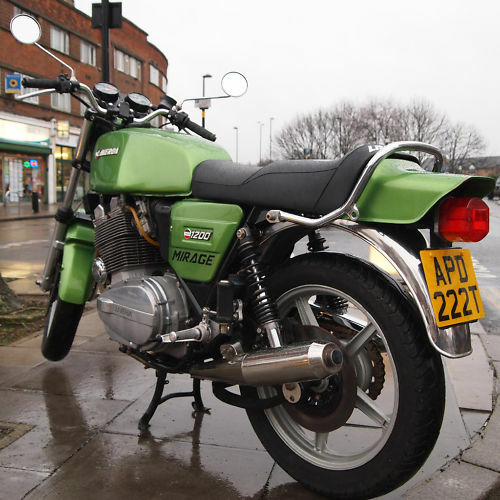 This RGS also has a stylish fairing were the Mirage for 1978 was naked. 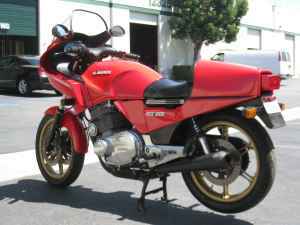 Laverda has always been one of the forgotten Italians, even calling themselves “American Eagle” when they first came to America. But when you start looking at them, and For Them, you can see why they have a following.